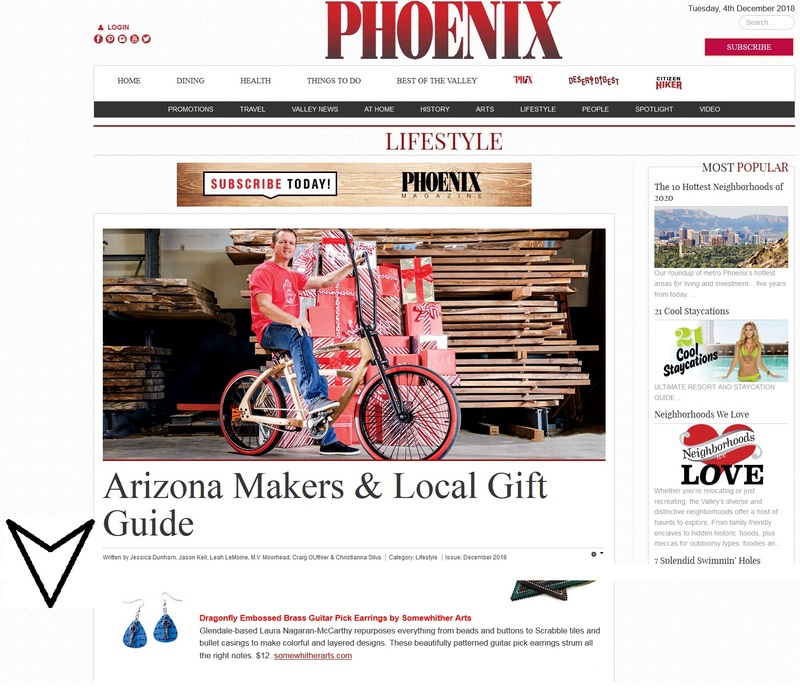 Today I discovered that I was mentioned in the Arizona Makers & Local Gift Guide in the Phoenix Magazine. I am so honored to be included in this guide. There are so many talented people and awesome products mentioned in this article. Need some gift giving inspiration? Then check out this guide. If you want to see my mention, you need to scroll down to the Jewelry section.